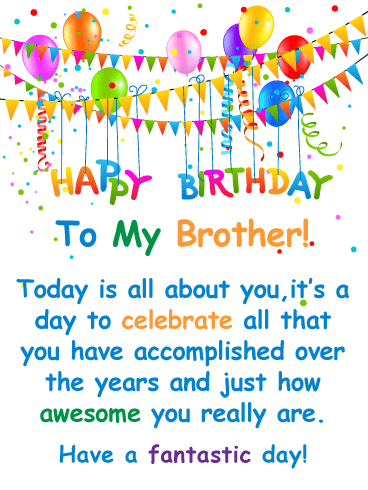 HAPPY BIRTHDAY - I am so lucky to have a brother like you. I hope that life brings you lots of happiness and laughter. 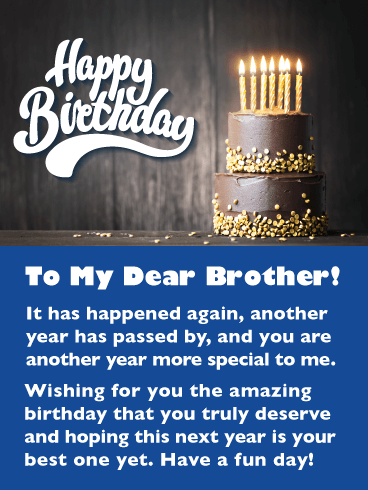 A sparkling, impressive birthday card special for your dearest brother! Fireworks for his special day and a sweet message from you to make him as happy as he should be on his birthday. 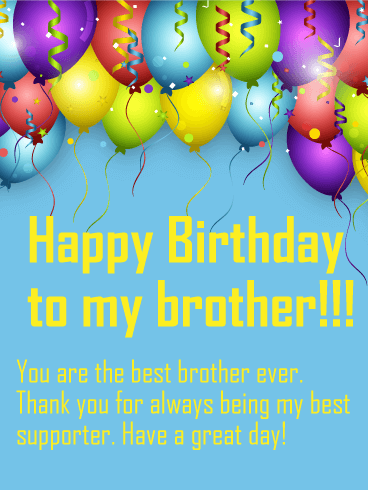 This is the perfect birthday card for your brother, get it for him today! 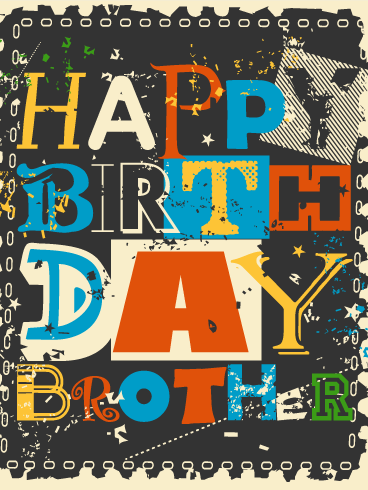 Get your brother's birthday started the right way with this festive celebration birthday card! It displays awesome decorative birthday candles sitting atop a frosted cake, shimmering ribbons, and sparkling confetti! It will surely get him excited about the festivities to come. It will also remind him that this day only comes once a year, so he should make it a good one. 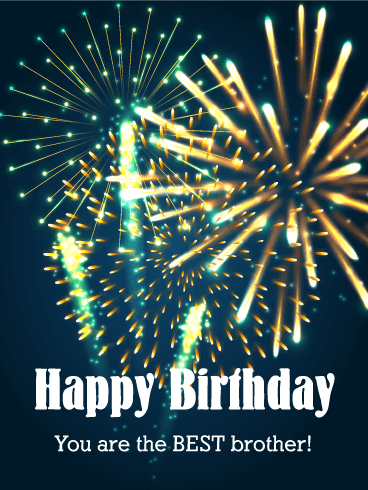 Send this exciting birthday card out today! No matter what happens, your brother has always been your strongest supporter. 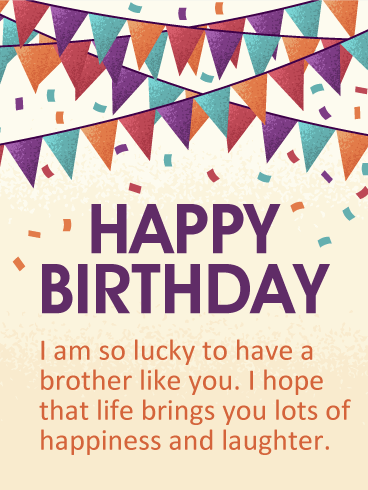 To tell him thank you, send him this Happy Birthday card to celebrate his special day! The fun, colorful balloons, streamers, and confetti will start the party and let him know how great you think he is. 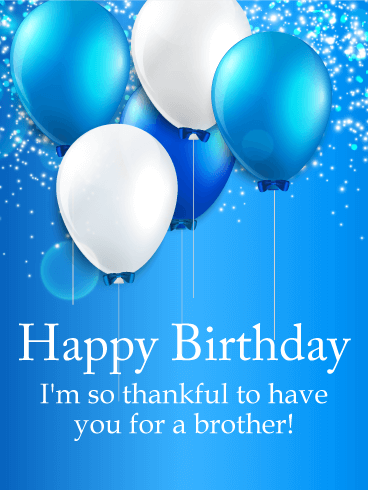 The sweet, heartfelt message will tell him how much you love him and wish him a great birthday! 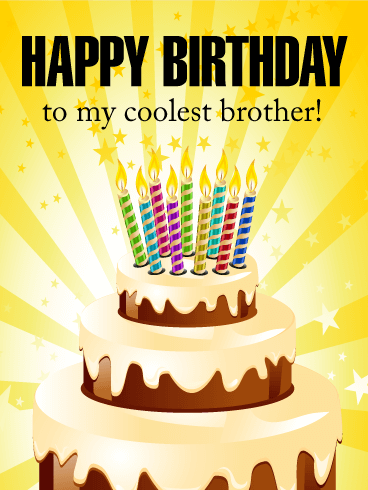 The perfect birthday card, creative and fresh, for your brother to celebrate the best way possible. 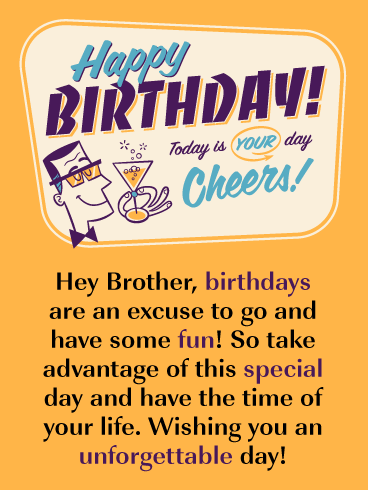 Surprise him with this colorful and fun birthday card and make his birthday a special one. He will surely love its style. Send it today! 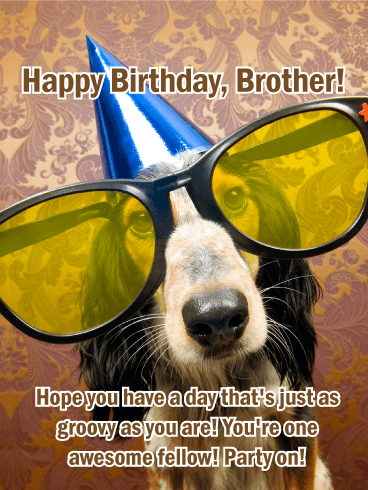 To your fun and quirky brother, this birthday card will make his day! Young, fun and colorful, it will add a splash of color to his special day and will get him in the mood to start the celebration. 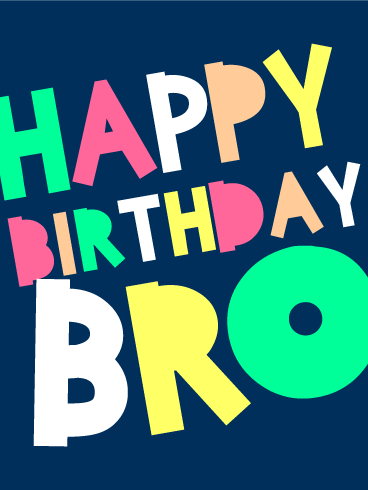 Don't make him wait any longer, this birthday card is perfect for your bro. Offer it today! 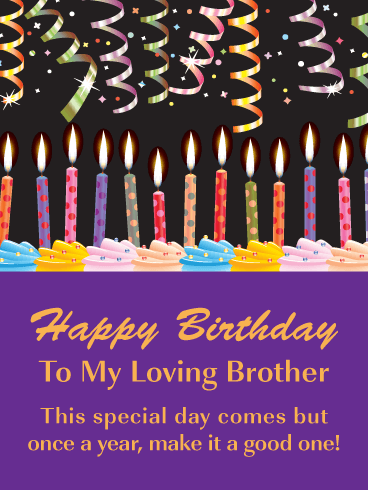 Elegant and sparkly, the best birthday card you could offer to your dear brother. The balloons with a bow tie will put him in the party mood, while your message will touch his heart. 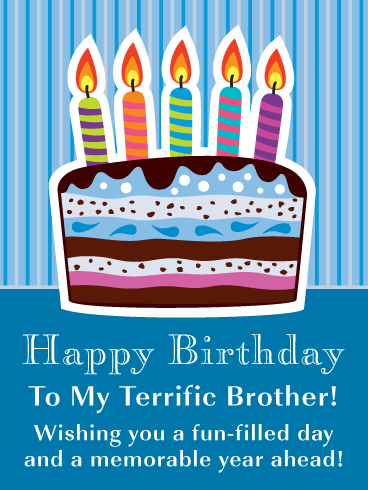 Make your brother's special day even better, offer him this classy birthday card!